Caring for your teeth on a low-income can be hard. This is a super offer from Megatex. 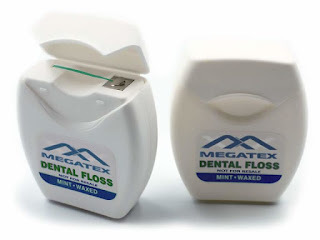 Megatex is offering samples of their popular Floss. To request your free samples all you have to do is register your interest. You can request the samples on the following LINK which will take you to the Megatex website. Once registered it takes about 4 to 6 weeks for the samples to arrive. This is a great way to save money and elevate your oral hygiene. These samples are given out on a first come first served basis so hurry to avoid disappointment. Feel free to share this post with other people who might find it useful. If this offer has expired, don't worry. I am always looking for new and exciting freebies so bookmark this blog.